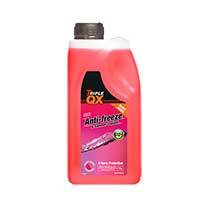 Keep your wheels on the road when the weather turns chilly with red antifreeze, which offers protection for your engine in even the coldest conditions. 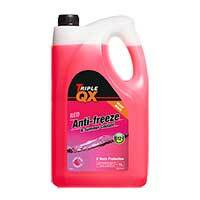 Also helping guard against rust and corrosion, red antifreeze is suitable for a wide variety of makes and models. 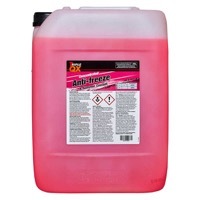 Red antifreeze doesn’t just keep your engine from freezing up in the winter – it also raises the boiling point of your coolant, protecting it from overheating at the same time. 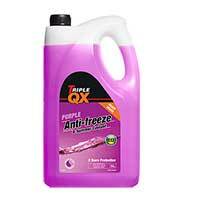 On content of this, it scontents rust and corrosion from building up and causing engine problems – all in all, it’s pretty handy stuff! 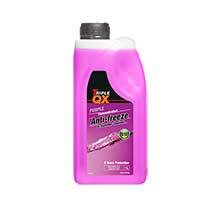 Antifreezes come in many different types, and while red antifreeze is suitable for the vast majority of modern engines, always check your owner’s manual to find out what the manufacturer recommends. 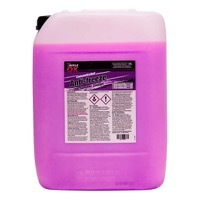 Red antifreeze is known for its long-life qualities, meaning you don’t need to replace it as often, and it usually contains OAT (organic acid technology) for enhanced corrosion protection. Don’t be left out in the cold – pick up the red antifreeze you need at a great price from Euro Car Parts. 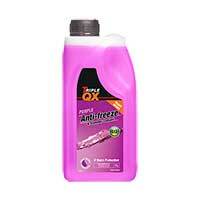 You can click and collect in-store, or simply order online with free UK delivery.